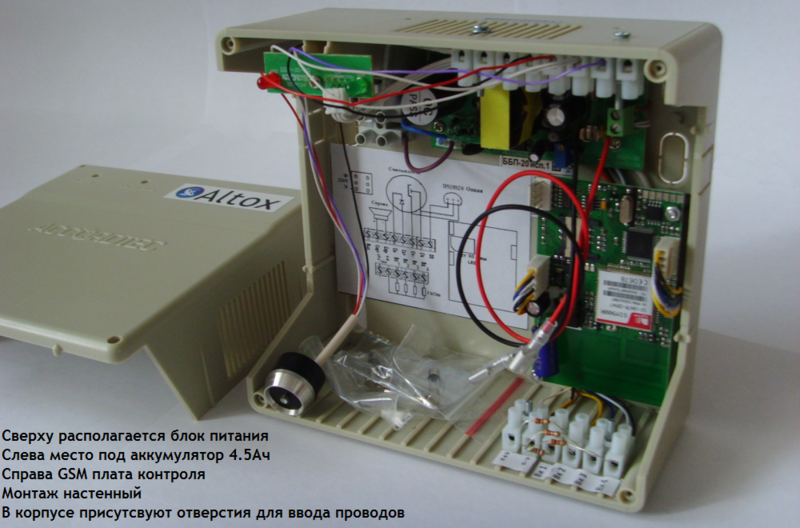 Security GSM alarm ALTOX GSM-4 is designed to alert the user about violation of protected areas or flex cables through SMS and voice call with announcing reasons for the alert in Russian/English. Security GSM alarm ALTOX GSM-4 can be used independently as well in conjunction with other access control devices, remote control and monitoring the real estate, security and fire controls, and others. Security GSM alarm ALTOX GSM-4 monitors the status of the four security flex cables (for each flex cable is possible to assign a unique name), they can be connected with an unlimited number of different sensors (infrared motion sensors, acoustic glass break detectors, water leakage sensors, magnetic sensors type of gerkon, etc.) with terminating resistor, that allows to determine the short circuit and abruption protected flex cable. Security GSM alarm ALTOX GSM-4 has a built-in voice menu in English/Russian, which helps to simplify the monitoring and management system. 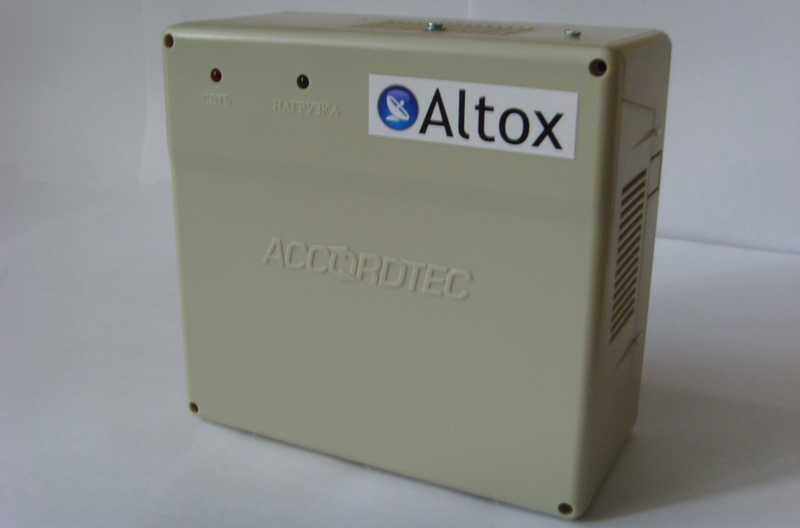 Security GSM alarm ALTOX GSM-4 also has three additional outputs, one of them is designed to connect visual and / or sound alarm, the second - for the external indication that allows to determine the mode in which the device is working, and the third (user’s, controlled by DTMF-commands from the voice menu) - to connect the different loads AC or DC voltage of 220V (eg, appliances, lights, music, heaters, sockets, etc.). To activate or deactivate the security mode are used iButton tags (keys Touch Memory) or logic pulses from an external control access device. Security GSM alarm ALTOX GSM-4 allows you to store up to 10 keys Touch Memory with the possibility to assign for each a unique name, that is displayed in the SMS information about activating or deactivating the security mode. The new version of the security GSM alarm ALTOX GSM-4 adds the ability to connect up to 3 digital temperature sensors (DS18S20 and DS18B20) with assignment for each a unique name and automatic temperature control of the sensor with the transfer alarm SMS in case temperature exit the set range.